E. B. White was one of the most influential modern American essayists, largely through his work for the New Yorker magazine. He also wrote two children's classics and revised William S. Strunk's The Elements of Style, widely used in college English courses. Elwyn Brooks White was born on July 11, 1899, in Mount Vernon, New York, the son of a piano manufacturer, Samuel Tilly White, and Jessie Hart. The family was comfortably well off, but not wealthy. Raised with two brothers and three sisters, White attended local public schools in Mount Vernon. He went on to attend Cornell University, graduating in 1921. White was offered a teaching position at the University of Minnesota, but turned it down because his goal was to become a writer. He worked for the United Press International and the American Legion News Service in 1921 and 1922 and then became a reporter for the Seattle Times in 1922 and 1923. White then worked for two years with the Frank Seaman advertising agency as a production assistant and copywriter. During this time he had poems published in "The Conning Tower" of Franklin P. Adams, the newspaper columnist who helped several talented young people achieve success during the 1920s and 1930s. In 1925 White published the article "Defense of the Bronx River" in the New Yorker magazine, his first piece in this publication. It led to his being named a contributing editor in 1927, an association which continued until his death in 1985. From the time of its origin, The New Yorker was one of the most well-received periodicals in the nation. It featured such celebrities as Alexander Woolcott, Dorothy Parker (1893–1967), Robert Benchley (1889–1945), and George S. Kaufman (1889–1961) as contributors, so White was in the company of the best when he was added to the staff. At some time White became the principal contributor to the magazine's column "Notes and Comment" and set the tone of informed, intelligent, tolerant, faintly amused city life in observations on the passing scene, a feature that continued after his death. dull appearance. He learned to say funny things. He learned to smoke, and blow smoke rings. He learned to earn money. This would have been a solution to his difficulty, but in the course of making himself attractive to Woman by developing himself mentally, he had inadvertently [unintentionally] become so intelligent an animal that he saw how comical the whole situation was." Also in 1929, White married New Yorker editor Katharine Sergeant Angell; the marriage produced one son. He published Ho Hum in 1931, Another Ho Hum in 1932, Every Day Is Saturday in 1934, and in 1936, in the New Yorker, under the pseudonym (pen name) Lee Strout White, the essay "Farewell My Lovely!" One of his best-known pieces, it was suggested to him by a manuscript submitted by Richard L. Strout of the Christian Science Monitor. It served as the basis for the book Farewell to the Model T, published later that same year. White's next work was a poetry collection, The Fox of Peapack (1938), the same year that he began the monthly column "One Man's Meat" for Harper's magazine, a column which lasted five years. There followed the essay collection Quo Vadimus? in 1939; an editing job with his wife, The Subtreasury of American Humor, in 1941; and One Man's Meat, a collection of his Harper's columns, in 1942. In 1945 White entered a new field with great success, writing Stuart Little for children. The story of a mouse born to normal human parents was clearly intended to console young people who thought themselves different or odd, and it carried the message that Stuart's parents never batted an eye when their son turned out to be a mouse and that the hero could build himself a good life. After The Wild Flag in 1946 and Here Is New York in 1949, White returned to children's literature with his most popular book in the genre (category), Charlotte's Web, in 1952. The story of the bond between the young pig Wilbur and the clever spider who saves his life is a look at the power of friendship and a reminder to young readers that death is a part of life. The Second Tree from the Corner came in 1954. Three years later White and his wife gave up their New York City apartment and moved permanently to North Brooklin, Maine. 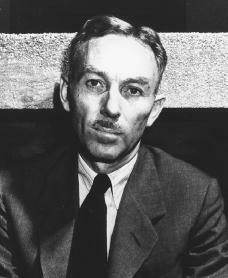 While an undergraduate at Cornell, White had taken a course with Professor William S. Strunk Jr. Strunk used a text he had written and published at his own expense, a thin volume titled The Elements of Style. White edited it, revised it, and added the chapter "An Approach to Style," offering such advice as "Place yourself in the background; do not explain too much; prefer the standard to the offbeat." The book sold widely and became a college campus fixture for the next twenty years in several editions. Honors began to pour in for White. He won the Gold Medal for Essays and Criticism from the National Institute of Arts and Letters in 1960, the Presidential Medal of Freedom in 1963, the Laura Ingalls Wilder Medal for his children's books in 1970, and the National Medal for Literature in 1971. In 1973 he was elected to the American Academy of Arts and Letters. E. B. White's influence was great, particularly in his popular essays, which served as models for two generations of readers. In the 1930s, 1940s, and 1950s, the New Yorker was judged by critics to be a model of elegant yet simple style in nonfiction, and White was in no small measure responsible for this reputation. He died on October 1, 1985, in North Brooklin, Maine. Craats, Rennay. E. B. White. Mankato, MN: Weigl Publishers, 2002. Elledge, Scott. E. B. White: A Biography. New York: Norton, 1984. Gherman, Beverly. E. B. White: Some Writer! New York: Atheneum, 1992. Sampson, Edward C. E. B. White. New York: Twayne Publishers, 1974. Tingum, Janice. E. B. White: The Elements of a Writer. Minneapolis: Lerner, 1995. I am doing a research project on E.B. White this is a great research website. Thank you. i am doing a research project on e.b. white and this is a good source to look on. This is a great source for a research paper. This was an amazing website im working on a research paper on him and it was a great help. For just one website it had alot of information! I'm doing a research report on E. B. White also, on his book Stuart Little. "Clearly?" I read recently that White says eppes in the book about Stuart being an actual mouse; this notion in particular being a creation out of whole cloth by the illustrator. Indeed, this idea caused me a lot of confusion when I encountered the book as a child, particularly when I tried to envision the Indian Princess being not at all nonplussed, at least at the outset, at the idea of going out on a romantic date with Stuart. Stuart tries to create a life for himself, replete with Freud's two sine qua nons, love and work, but encounters subtle difficulties. At the close of the book the yearning and deeply spiritual is off in lonely pursuit of a (real) sparrow he has come to love, only because the sparrow has necessarily become subject to her biological migratory imperatives. Is there in this some comment on the eternal dialectic of man and woman? I think that to really understand the book and Stuart they has to be examined in the light of the Jewish Holocaust of the Second World War. Stuart epitomizes difference, minorityhood, and physical (but not spiritual) weakness and callowness, just like the Jewry of Western Civilization must have in White's purview at the war's end. Throughout the book, Stuart is an antihero trying to find his place in a world, which although seemingly personably friendly enough, is one in which he must remain forever an alien, although he will grow up. I think the bok Charlottes Webb is awesome, We're reading it in class and my teacher really likes it too. If E.B.White hadn't died I recomend a book about a girl who discovers she's more than what everyone calls her. I'm doing an English project on E.B. and I have to find out his backround and "Early Life/Childhood". Can someone help me find out where to look ? This is an excellent source for my AP Lang & Comp term paper. Thanks. I'm doing research for my AP Lang and Comp term paper but I need the information to cite this webpage. Where can I find it? I'm doing research on the Author E.B. White for My Langauge Art course and I've enjoyed all the resources available about this award winning author. Than you, for being so helpful. One day soon, I'm interested in how to get my dream fulfilled in becoming an children Author too. Im doing a research on him and this is a good source.